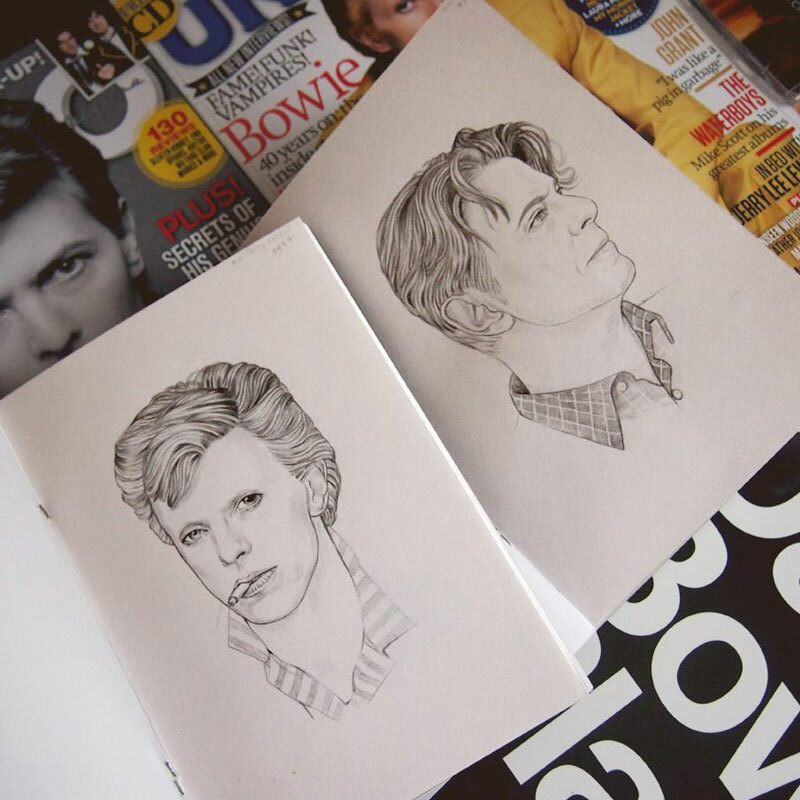 In celebration of David Bowie’s 68th birthday (8 January 1947), artist Helen Green created the glorious animated gif above to show the style icon’s transformations over the years. The gif is made up of 29 individual images from Davie Jones (during 1964, when he released his first single ‘Liza Jane’ with the King Bees) to a recent image of him taken by Jimmy King, 2014, around the release of ‘Sue (Or In A Series Of Crime)’. Below you can find some additional stills and progress shots of the project. Happy Birthday Mr. Bowie! To see more fantastic artwork from Green, check her out at the online links below.